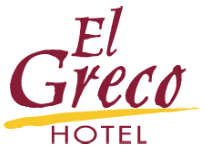 Hotel El Greco offers a promotion for 3 NIGHTS with a special rate, entering on Friday or Saturday. These Rates already include all taxes, are subject to payment in advance, effective January 31, 2018. I'd like to receive emails, updates and newsletters from Hotel El Greco.